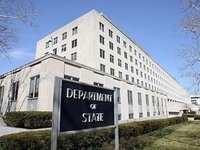 U.S. Assistant Secretary of State Madison to discuss fight against corruption in Kyiv – U.S. State Dept. Assistant Secretary of State for International Narcotics and Law Enforcement Affairs (INL) Kirsten D. Madison will travel to Kyiv, Ukraine, and Copenhagen, Denmark, October 17-23, to participate in anti-corruption focused events and discussions. "While in Ukraine, Assistant Secretary Madison will meet with officials from the National Anti-Corruption Bureau, the State Border Guard Service, and members of civil society to advance U.S.-supported justice sector reform in Ukraine," it says. She will also give remarks at a graduation ceremony for the Patrol Police Academy, which the United States helped establish. Following engagements in Ukraine, Assistant Secretary Madison will travel to Denmark to participate in the International Anti-Corruption Conference (IACC) on October 22.